What’s this? Me going to the cinema on the day of a film’s release?! Must be something special…. When I go back and read my original review of Iron Man I am shocked by how ambivalent I was towards it. 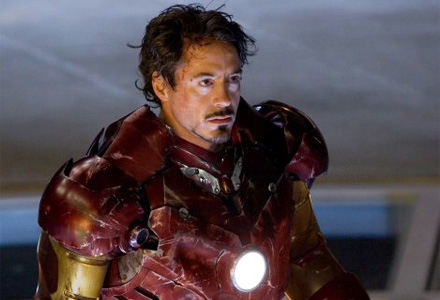 Seeing it for the second time prompted a whole post about second impressions, and a few more watches down the line I am a die hard Iron Man fanatic. Today is my sister’s birthday, and having finally succeeded in converting her to the Iron Man church, what better way to celebrate than seeing a movie we’ve both been eagerly anticipating. While it took me a while to warm up to the first Iron Man, the same cannot be said of this film. I absolutely loved it. And by the sounds of the people in the cinema around me, so did everyone else. The plot is fast-paced and engaging. It might not have many twists in the tail but it isn’t predictable either. The script is also just as sharp and snappy as the first film, with all the RDJ signatures that make the character so popular. There are genuine laugh-out-loud moments (just ask the guy sitting behind me) and a whole host of fantastically quotable lines that will no doubt be appearing on this blog in the future. 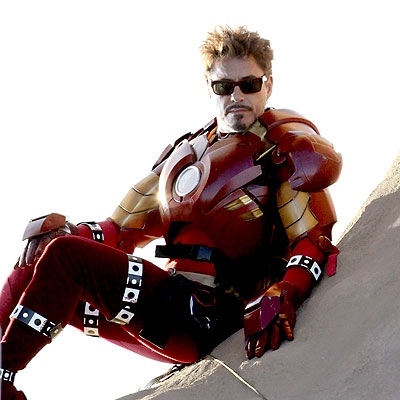 The whole character of Tony Stark is so wrapped up in Robert Downey Jr’s personality that it’s very hard to picture him any other way. But who would want to when he does it so well? The sequel also brings on board the unstoppable Mickey Rourke and a fantastic performance from Sam Rockwell. Both actors are perfect in their roles; I’m really hoping to see more of Rockwell in future films. Gwyneth Paltrow continues to shine as Pepper Potts, a role that really seems to suit her, and she provides a great foil for RDJ. If I had to pick one person out as being less interesting it would be Scarlett Johansson, but I think that is more because she is surrounded by huge competition on all sides and playing a less interesting character. It’s nice to have Samuel L Jackson back too, after his one liner in the first movie stinger. Speaking of trivia, there are a couple of nice nods to comic book geekdom to make those of us sad clever enough to spot them. In the first film we had S.H.I.E.L.D. and Nick Fury, but the hints are more subtle here. Look out for an iconic piece of equipment belonging to an all-American hero, and don’t forget to wait until after the credits before you leave your seat. Other thoughts: the soundtrack (provided in no small part by legends AC/DC) is epic. Both the use of pop music (absolutely loved the Another One Bites the Dust/It Takes 2 mash up) and the original score by John Debney are brilliant. The special effects are also great. I really want a computer where I can pick things up and move them around with my hands. I mean, that’s just cool. Some of the handheld camera work in the opening scenes is a little shaky, but that’s what you get with that style of filming and it works most of the time, although it’s a little distracting in the court scene. 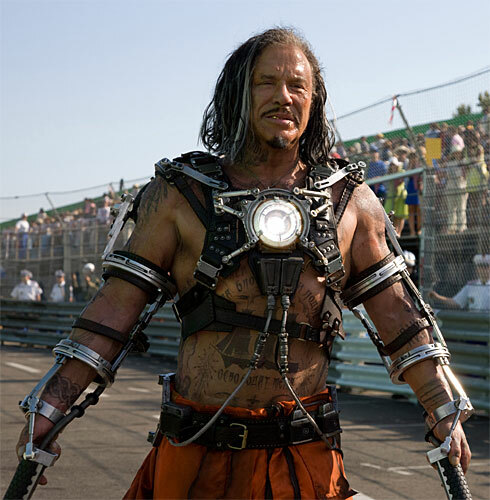 Iron Man 2 is an awesome film. Like Spiderman before it I can see the films running for a good while yet (hooray!) Even while the movie was still running I was thinking “I really want to see that bit again.” It ranges from explosive action (and I mean explosive) to big laughs and even manages to have some really sweet moments. What more could you ask for on a Thursday afternoon? Go out and see it now. And take me. ‘Cos I need to see it again. You’ve seen this already? Wow, it’s not even out until next week here, lucky you! I don’t need anymore convincing to see this but now I REALLY want to see this NOW. Glad I’m not the only one baffled by the Terrence Howard-Don Cheadle switch, but that’s a clever way to handle the situation. Can’t wait to see that briefcase iron suit on the big screen, I love watching that over and over again on the trailer! RDJ rules! good spot on Rhodey’s opening line though. I was so bored watching a committee meeting in a popcorn movie that i didnt notice it. Ross: subtle as in if you don’t know the comics you wont get the references. You seriously didn’t like it? I can’t believe that. As far as I’m concerned there is nothing bad in that movie. Maybe you just need to see it again, like I did with the first one. I would say something smart but I haven’t seen it yet 😦 I can’t believe all of you people have Iron Man 2 before just about anyone in the US. What is going on here? The publicized story of the Howard/Cheadle switcharoo was something about money. But Howard came out and said he had no idea what happened — they just told him he was out and Cheadle was in. I like both actors and I’m interested to see how Cheadle does, but I really liked Howard in the part. Interesting. I liked Howard too. Cheadle does nothing wrong, he might not be quite as charismatic, but that’s just nit picking. Wasn’t too keen on Iron Man 2, was kind of disappointed as loved the first one. The first hour was fine, but the second hour dragged. Don’t kill me! OK I wont kill you. It’s so weird that it took me time to get into the first film when everyome else loved it, and now I seem to be in the minority loving the sequel. I’m hoping you’ll all come around to my way of thinking once you’ve seen it again. Can’t believe people seem to be not liking the sequel!! Loved it from start to finish!! If I had to pick out anyone as disappointing I’d say Gwyneth but I had a great time watching it!! Thanks for commenting, especially since you’re in my side!! I loved it from start to finish too. It’s just a fun ride, everything I wanted from an Iron Man movie. I thought it was pleasantly entertaining enough albeit completely forgettable. It tried too hard to setup the Avengers instead of building the Iron Man universe. There is worse ways to spend two hours but this was slightly disappointing. I didn’t think there was much set up for Avengers at all! OK, so there were the two references but they weren’t exactly what you could call set up. Having Nick Fury there is an Avengers set up I agree, but not to an extent that it pulled away from the rest of the movie. Thanks for the comment, even if you are on the fence, I can almost claim you as one for my team of non-haters. Hi Katie, I finally saw it this weekend and had my review up today. It doesn’t live up to original but I still enjoyed it, the highlights I mention were worth the price of admission surely. See I reacted better to the sequel than I did to the original the first time I saw it. I’ll head over to your blog to see what you thought.